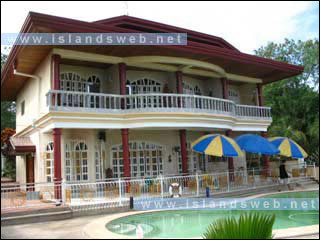 Overlooking House and Lot, Lot area: 1,161 sq.m., Floor area: 620 sq.m. House and lot overlooking Maribojoc Bay. European-style with swimming pool. The house has 4 bedrooms and 3 toilet and bathrooms. A separate bungalow-type house is included in the sale.